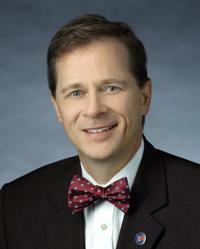 Allen J. Taylor, MD, FACC, FAHA, is Chairman of Cardiology at MedStar Heart and Vascular Institute, including Medstar Georgetown University Hospital and MedStar Washington Hospital Center in Washington, DC. Dr. Taylor is a board-certified cardiologist and clinical researcher, specializing in cardiovascular imaging and prevention. He is a member of the corporate Board of Directors for MedStar Health, the leading academic health system in the Washington DC, Maryland region. Dr. Taylor obtained his medical training at Johns Hopkins University in Baltimore, MD, followed by internal medicine residency training at Walter Reed Army Medical Center, Washington DC, and a cardiovascular disease fellowship at the University of Virginia, Charlottesville, VA. During a 20-year career in the United States Army at Walter Reed, he served as the Director of Cardiovascular Research, Director of the Cardiovascular Disease Training Program, and Chief of the Cardiology service. He retired from military service in 2008 at the rank of Colonel, during which he held the Army's "A" proficiency designator and was decorated with the Legion of Merit. He is a full Professor of Medicine at the Uniformed University of the Health Sciences, Bethesda MD, and Georgetown University, Washington, DC. Dr. Taylor's major research accomplishments include defining the role of lipid lowering therapy on carotid atherosclerosis, focusing on HDL cholesterol and the use of niacin. His pioneering work in the field of cardiac CT includes conducting long-term prospective outcomes trials, randomized clinical trials on the utility of the technique, and methods to enhance the safety and appropriateness of cardiovascular imaging. He has published more than 210 manuscripts in the areas of imaging, lipids, prevention, cardiovascular outcomes, and quality in journals, such as Circulation, the Journal of the American Medical Association, and the New England Journal of Medicine. He receives ongoing research funding from various federal and private sources, including the NIH. He is the author and/or editor of 5 books on topics within cardiovascular disease. Dr. Taylor served as founding Editor-in-Chief of the Journal of Cardiovascular CT, and as Editor of the Braunwald's Heart Disease companion text atlas on cardiac CT. He is a Past President of the Society of Atherosclerosis Imaging and Prevention, and within the American College of Cardiology has held the posts of Chair of the Imaging Council, Chair of the FOCUS campaign for Appropriate Use of Cardiovascular Imaging, and member of the Board of Governors. He is a founder of the Society of Cardiovascular CT, serving on its Board of Directors from 2006-2012, and also a founder of the Certification Board of Cardiovascular CT. He serves on the board of directors for Inteleos, an organization leading certification pathways and excellence among cardiovascular imaging experts. His work on national writing groups and task forces includes multi-society guidelines on cardiac CT training, terminology, and performance, quality standards for imaging performance and radiation protection, Appropriate Use Criteria for diagnostic testing, and national standards on cardiovascular disease management and prevention. Dr. Taylor contributes frequently to media reports as an authority on cardiovascular disease in major regional and national venues such as the Wall Street Journal, USA Today, The New York Times, US News and World Report, CNN, Associated Press, Reuters, Forbes, National Public Radio and as a frequent commentator on national video media including Good Morning America, and the NBC and CBS Nightly News programs. BLOG: How much caffeine is safe for you and your child? BLOG: What do the new blood pressure guidelines mean? PODCAST: Are health and fitness apps the future of heart care?